Air Canada has been fined $50,000 US by the U.S. Department of Transportation for violating "deceptive price advertising" rules in online ads. "When passengers buy an airline ticket, they have a right to know how much they will have to pay," U.S. Transportation Secretary Ray LaHood said in a news release Thursday announcing the fine. The government agency found that Canada's largest carrier displayed ads on its websites in early 2011 that didn't disclose taxes and fees tacked onto advertised fares. 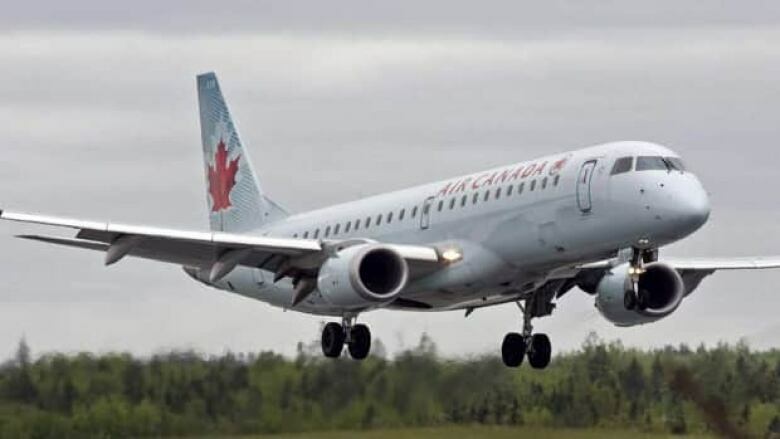 Consumers who clicked on the ads were taken to Air Canada's website, but could not find details of the additional taxes and fees unless they scrolled down to the fine print at the bottom of the page, the department said. Department of Transportation rules require that any U.S. or foreign carrier that advertises a price for air transportation to state the full price to be paid by the consumer, including all carrier-imposed surcharges. The only exception is passenger facility charges, which may be stated separately, but must be clearly disclosed in the ad. Beginning in January, carriers will be required to include all government taxes and fees in advertised fares. Air Canada said it modified the banner ads within 24 hours of being notified to "improve clarity." "We have been advertising in the United States online for many years and this was an isolated occurrence as we are fully compliant with Department of Transportation policies and regulations," spokeswoman Isabelle Arthur said in an email. "We will remain vigilant to ensure we continue to be compliant."